Several computer users around the world feel that the best network security solution is to deactivate internet connection. These users have to open up their eyes and accept the fact that this imagination is totally wrong. Keeping the assumptions aside, a network operation that can make it tough things for intruders to acquire network access can act as a positive aspect of entire security posture. Sometimes business users put forward a question in front of cloud security experts i.e., there exists tons of cybersecurity threats and attack solutions to worry about that requires consideration of multiple hardware and software solutions then, where actual focus is needed? It becomes complicated for enterprise users to focus on different things at one time. To achieve a foothold in modern business network, its time to think like an attacker. Cyber attackers make use of two critical sources to attempt a threat i.e., Access and accounts. Therefore, here the team of CloudCodes is present to provide a deeper look on how cybercriminals can exploit these sources, and how one can thwart them. Adversaries will not be able to achieve successful attempts on targeted PCs until and unless they don’t encounter a single entry point. 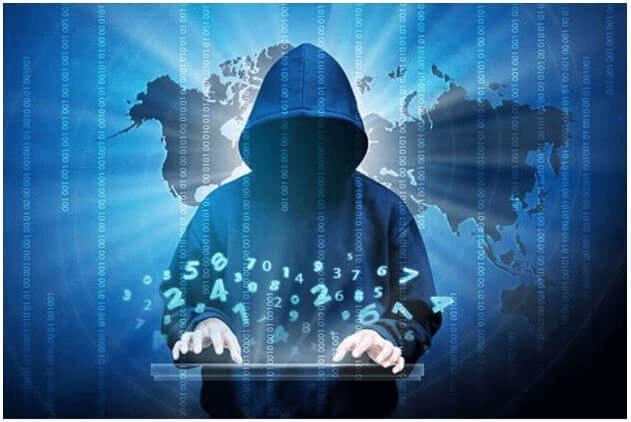 This demands for performing of penetration testing from the end of business, where the use of remote access and insider measures is required. The testing provides a deep look inside the network to determine whether anything is exploited or not. The respective measure is performed to check the ability of clients for patching internet-accessible machines. If we think like an attacker, it is easy for us to perform cyberthreats when a weak network point is in the hands. Therefore, penetration testing is an important procedure to achieve security and prevention against data loss. It is majorly required when a bad patch management results in 99% of data being compromised. To fight against the battle, the only idea is to code a strong and perfect network. Well, phishing attacks are the culprit behind several unknown and new attacks or data breach incidences. Methods raised from the concept of phishing are common for threat actors for getting enterprise network access. Why it is so? Let’s think like an attacker. It is possible for a basic HTML coder to develop an email account, register himself with a domain name at $10 per year, and derive an online-based server in just a few hours. In the black marketplace, exploit code cost starts from thousands of dollars to ten thousand dollars for a zero-day exploit. Being an attacker, of course, an individual will prefer spending $30 to setup a phishing campaign. It’s easy for him to sit at one place and earn more amount than the spending one. So, business users are strongly recommended to start using best email security practices in their premises and, regularly perform phishing test & aware business worker with cloud security measures. When we think like an attacker then, unmanaged and unsecured email accounts are of great use for use. But being normal cloud users, it’s not good at all! Do you think that when an adversary get code for execution and establish a foothold in targeted network, he or she is successful in his or her attempt? Right? Wait, just give a break to your thoughts! At the time of penetration testing, it is being found that networks where initial operations take place are having strong identity and access management solutions. This means that network is prevented from shifting laterally. These networks are defensively speaking awesome due to which an internal happiness or relaxation is felt. But, things are not finished here only. In an organization, there also exist other types of networks that are without proper account management solutions. If these networks are not in notice of business individuals, they will of great benefit for attackers. Sometimes there exists a common situation among several businesses i.e., an employee is having the privilege of an administrator. What is this? Do you think that this employee is trustworthy and will not leak your data even after he or she leaves the organization? Think like an attacker then, your internal business worker is a big threat for you because in this case, you have provided him with all administrative control. On basis of these challenges, CloudCodes security experts recommend businesses to avoid giving admin privileges to their employees. Even if they are doing so then, take the privileges back when its purpose is finished. Apart from this, at least once a week, perform penetration testing to understand whether there exists any problem on your network or not. If yes, don’t ignore it even if it is small! Remember that you are considering wireless networks as well as smartphones to seek for these sort of gaps. If you think like an attacker, you will be able to fix several problems related to network security in your premises. Even if you think that you cannot dedicate much time for business cloud protection, we recommend you not to take it to forsake; simply contact to CloudCodes. CloudCodes is a security-as-a-service provider whose mission and vision are only to render protection to vital content of business’s customers. At the time of delivering solutions, the team thinks like an attacker and program the preventive measures to safeguard data from cyberattacks. The solutions are regularly updated whenever the security experts smell symptoms of new threat occurrence in the market. So, not to worry to you can give the responsibility of network security to CloudCodes and then, continue focusing on your business development!